Solar energy is getting more accessible and affordable, but it’s still out of reach for 80% of Americans. Founders Steph Speirs and Steve Moilanen came up with the idea for Solstice Initiative while working in rural South Asia—where it was easier to access solar energy than in the U.S. Solar panels aren’t an option for renters and for people with lower income, inadequate credit or a non-optimal roof. To help overcome those obstacles, Solstice Initiative uses a community solar model. It work similar to a community farm. 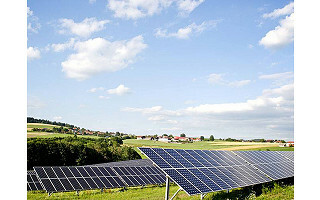 A business or organization can set up solar panels that feed excess energy back into a shared power grid. Community members can buy into the program and save money on their utility bills with the generated energy. By supporting Solstice Initiative, you can help expand clean energy and bring sunshine (literal and metaphorical) to people who can use it. Hi, we're Steph and Steve, co-founders of Solstice Initiative. We're excited to share our story here on The Grommet. How did you get the idea to start Solstice Initiative? In 2013, we worked as consultants for a think tank exploring opportunities for scaling up the deployment of solar microgrids in India. Our research took us to the field, where we realized that the off-grid rural villages we visited were sometimes in a better position to access solar power than households in our own country. Upon returning to the U.S., we committed to change this. Steve first uncovered the emergence of community shared solar and Steph proposed leveraging the team's community organizing experience to build and offer shared solar at local institutions. Solstice Initiative was hatched shortly thereafter. Solstice Initiative takes advantage of an emerging model for residential solar power called “community solar,” which offers households the opportunity to buy a share of a solar farm in their neighborhood. This model enables households to access clean energy for the first time and save money on their utility bills--all without worrying about upfront costs or installing anything on their roofs. First, Solstice works with project developer partners to build community solar arrays in which everyone can easily participate. We then partner with community organizations like houses of worship, workplaces, and schools to offer solar power to their members. All of the electricity generated from a household's solar share will flow onto the utility’s electric lines, and Solstice works with the utility to credit the participant's bill with the energy that their solar panels produce. 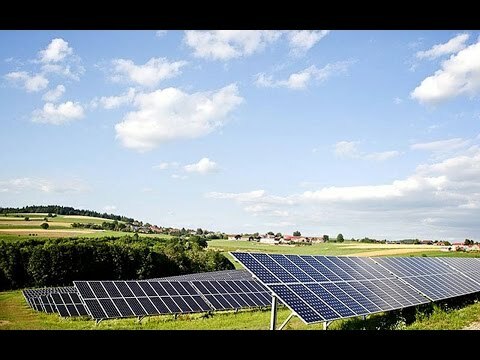 Why is expanding access to solar energy so important? The Solstice model overcomes numerous pressing social problems: Those who cannot currently access solar are brought into the market, more solar is deployed to offset climate change, and community organizations strengthen their relationships with their constituents. Meanwhile, households will enjoy immediate savings on their electricity bills, a hedge against long-term increases in energy costs and easy access to renewable energy. We believe it is crucial to bring solar to underserved consumers because these households spend a disproportionate amount of their income on electricity and because we will not make a dent on climate change until we broaden access to clean energy. Solar energy is getting more accessible and affordable, but it’s still out of reach for 80% of Americans. Founders Steph Speirs and Steve Moilanen came up with the idea for Solstice Initiative while working in rural South Asia—where it was easier to access solar energy than in the U.S. Solar panels aren’t an option for renters and for people with lower income, inadequate credit or a non-optimal roof. To help overcome those obstacles, Solstice Initiative uses a community solar model. It work similar to a community farm. 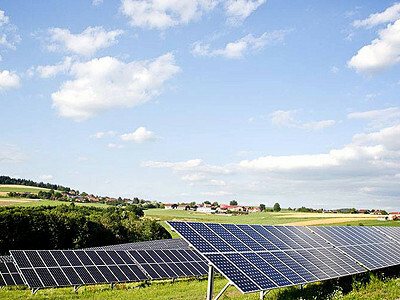 A business or organization can set up solar panels that feed excess energy back into a shared power grid. Community members can buy into the program and save money on their utility bills with the generated energy.